I have recently become obsessed with the art of air-drying my hair. Mary Kate and Ashley Olsen – AKA my icons – are ultimate hair goals in my book (also see: Kate Moss). 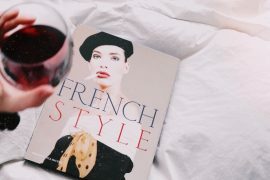 Not to mention, effortless + air-dried hair is French AF. So naturally, I want in. 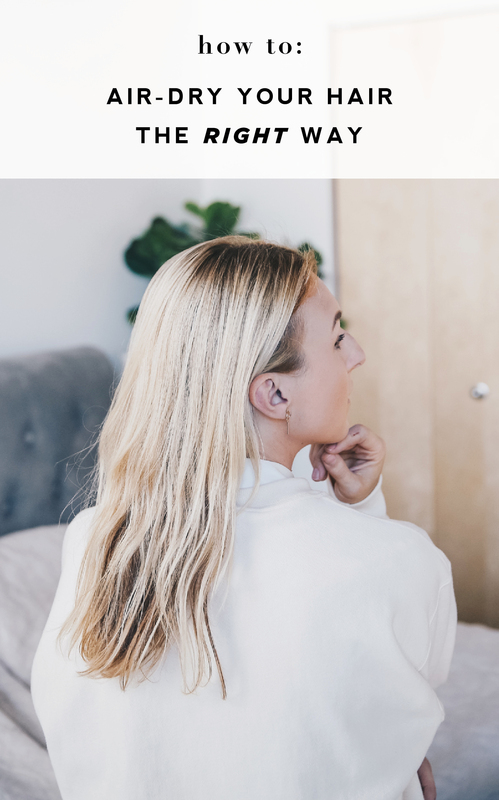 Today, I’m talking about the few simple steps you can take to control the way your hair air-dries, without damaging the heck out of it with heated tools. I used to think air-dried hair could never work for me. I’ve always had fine/thin-ish hair, and thought that air-drying was reserved for girls who were blessed with thick locks. But, now I know that’s not true. No matter how much hair you have, it’s possible to air-dry! Speaking of hair amount: I want to note that my hair has finally gone back to normal since having James! And as a result, I’m taking a break from tape-in hair extensions. It took a year, but my hair grew back. AMEN. 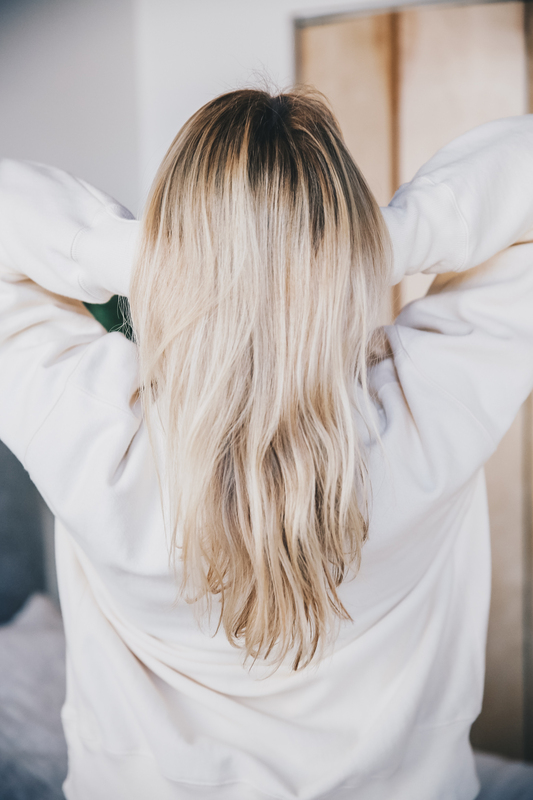 After I had James, all of my luscious pregnancy locks rapidly fell out (read more on that in my post about hair loss after a baby) and I swore that I would stop blow drying/flat ironing my hair, in order to avoid damaging what few strands I had left. However, that did not happen. 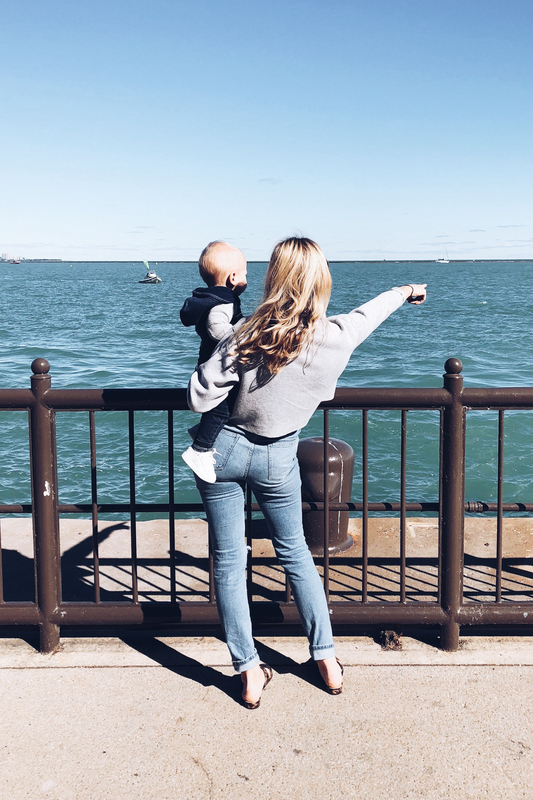 In the first few months that followed giving birth, I was basically the most insecure + self-loathing person on the planet; thanks to balding, post-baby weight, and my raging hormones. Good times! So, a failed new hairstyle was extra devastating. I tried to let my hair air-dry in order to keep it healthy, but I hated how it looked. My already thinning hair would turn out limp, and frizzy. On top of that, I have the worst cowlick on the crown of my head, and I couldn’t just leave it unattended. I would look in the mirror and think “WHY DO I LOOK LIKE JOE DIRT, AND NOT AN OLSEN TWIN????”. 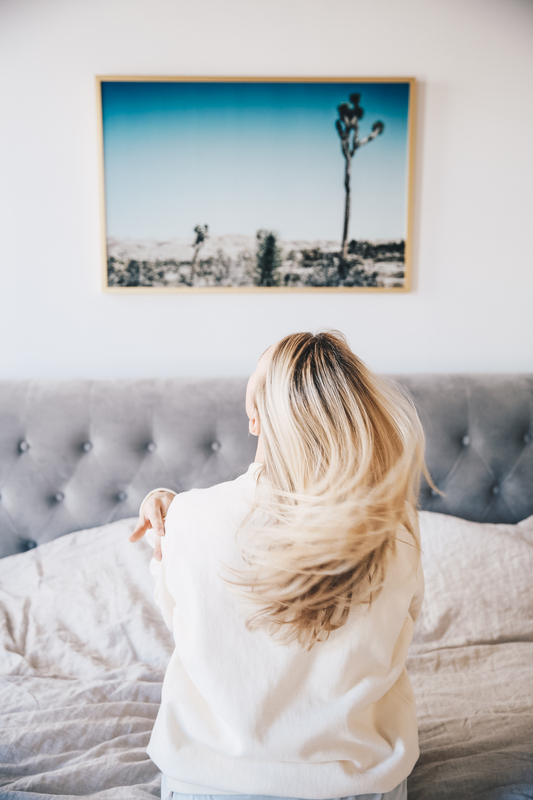 My air-drying plan turned out to be an epic fail, and I ended up blowing out my hair with a round brush and straightening it more than ever during that time. Sigh. Turns out, I was air-drying my hair all wrong. I made the mistake of aggressively towel drying my hair after a shower (wrong), brushing my wet hair with a brush (wrong), and then just letting it dry with no product (wrong). Additionally, I was doing absolutely nothing to help my poor little cowlick! Little did I know, it needed a little push in the right direction. Cowlicks can be shaped, people! I started doing some research and found things that worked, and didn’t work. I’ve been air-drying my hair consistently now for the past month, and it feels so freeing. I also hate blow drying my hair with a fiery passion, so this helps that battle as well. Guys, you have to stop using a regular towel to towel dry your hair after a shower. Seriously, STOP! It is horrible for your hair. Rubbing a coarse towel on your hair destroys the hair shaft by breaking the cuticle and therefore drying it out. This creates frizz. Regardless of whether you are air-drying your hair or not, start using a gentle microfiber hair towel (or a cotton t-shirt works too) to blot + absorb the moisture, then gently wrap it up turban style. This is important! Using a wide tooth comb to detangle your hair is much more gentle than a regular brush, or even a wet brush. When air-drying your hair, you want maintain that piece-y/seperated look; and you can achieve that by using a wide tooth comb. Also, set your part now before your hair starts to dry! Next step, spray in a leave-in conditioning treatment. I use Acure Organics Leave-In Conditioner, it’s only $9, it works, and is non-toxic. 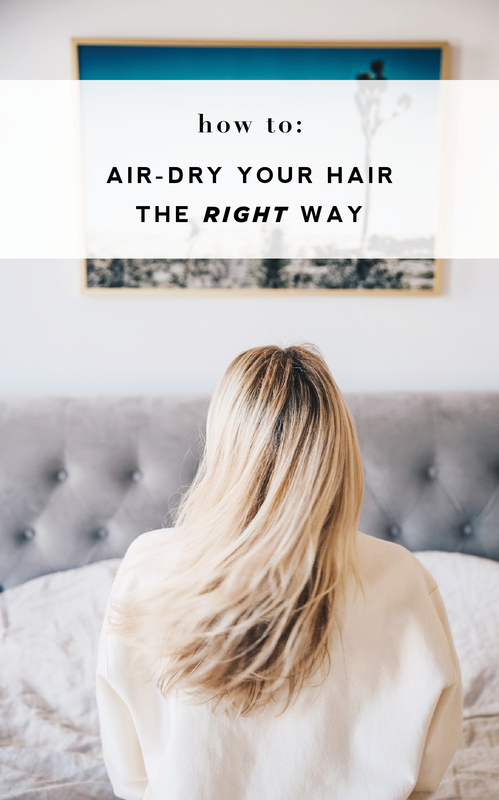 Because you are not going to be using heat from a blow dryer or straightener to smooth out your hair, you’ll need it to dry smoothly on it’s own. How do you do that? Leave-in conditioner spray! This will help tame any fly-aways or frizziness. 4. Braid your hair while it’s still wet, but be sure to remove the braid(s) while your hair is still damp. Okay, so this is where you decide what shape you want your hair to take. If you want beach waves, then section off your hair and create 3-5 braids. If you just want a little waviness at the ends, then just do one very low + loose braid (which is what I do). You want to make sure you take out the braids before your hair fully dries! This step is just to help nudge your hair in the right direction so that it doesn’t dry totally stringy and separated. How long you leave in the braids(s) will vary depending on how thick your hair is. My hair is thin and, fine so it dries quickly! I don’t have to leave my braid in very long. Once I notice it getting too dry, I take it out and let it finish drying while down. If you’re like me and have an cowlick on the back of your head, fret not! I have found a way to fight it. I part my hair where the cowlick is and do a very loose braid in the back/top section of my hair, so that all the hair starts to dry in the same direction. After it is mostly dry, I take it out and throw in a velcro roller until I leave the house, to ensure the cowlick doesn’t come back! 5. Final (and most fun) step, sea salt spray! Once your hair is just about fully dry, spray in some texturizing sea salt spray. Beautycounter has an awesome Sea Salt Spray. This step is crucial in creating a look that leaves your hair texturized, and not limp. Don’t be scared to douse your hair in coconut oil. It is a very forgiving oil and washes out easily. Unlike olive oil, NEVER put olive oil in your hair – it will take a million washes to get out! Coconut oil helps condition your hair and smoothes out dry hair cuticles. At least 2-3 times a month, I lather coconut oil into my hair and sleep on it! 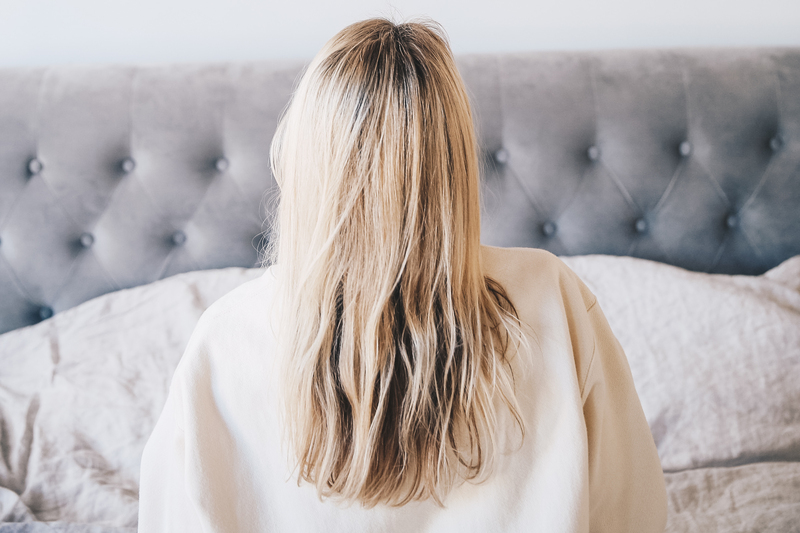 If you have the right dry shampoo, your air-dried hair will look even better the next day! I use Acure Organics Dry Shampoo, it is in powder form. Be sure to get one that scores in the green zone on the Think Dirty App (especially if you have little ones running around) because sprays and powders are easy to breathe in. 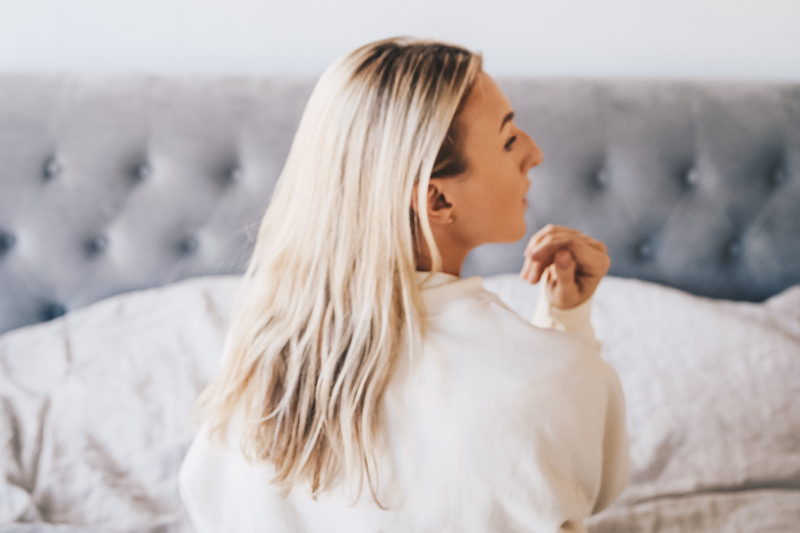 My friend Jess wrote a fantastic post about shampoo (btw in case you don’t already know: ALL of her beauty content + advice is phenomenal) and you should definitely check it out. She reviews Beautcounter’s shampoo + conditioner, which is what I have used for years! Acure Organics Clarifying Lemongrass Shampoo and Clarifying Conditioner is also great too, it’s much less expensive and I have used it in between my Beautycounter orders! L O V E this! I have naturally wavy hair and always hated it, but recently I’ve been trying to let it air dry so I can eventually look like Blake Lively 🙂 This post totally inspired me! This has truly changed my hair for the better! I often would air dry my hair and end up blow drying and straightening it cooperate. Adding leave in conditioner and braiding it?! Life changing! 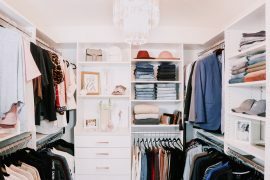 So glad Nicole at writes like a girl shared this link! Megan! I’m so happy I came across this post! I needed this. You’re awesome. Keep the suggestion and posts coming!